Planning to start a business? Should you go ahead with franchise model or start an independent business? It is a most common question asked by many people today. Let me share one story with you. My friend was looking for new business opportunity. He was doing a job and not aware about how to start a business. He incidentally came across lucrative franchise offer of a restaurant. He accepted the offer and started his own restaurant business. This franchise business helped him in leaving his job. Today he is successfully running a restaurant business. This example shows that you can get success in business by adopting franchise model. However, please note that franchise Model vs Independent Business is a debatable topic. Let’s discuss in detail Franchise Model vs Independent Business – which one you should select and why? Following factors are crucial in deciding your business model. Opting for the franchise will cost you more compared to independent business. The reason is franchise comes with franchise fee and royalty payment. Paying money for the franchise is like spending money on consultant or expert for setting up your own business. Franchise fee – Franchise fee is a onetime fee charged for assisting you in formulating system, equipment selection, setting up operation and entire store/office. 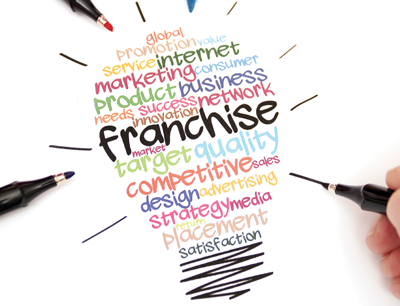 A good franchisor will even help you in training manpower and in marketing. Royalty fee – Royalty fee is a fee you need to pay for using a brand name and logo of a franchisor. This fee is payable on a regular basis till you hold the franchise. This fee is generally few percent of your sales volume. In franchise model, you need to follow a set of rules regulation and best practice guideline. Franchisor can tell you to purchase specific equipment, counter, signage etc. This will be additional cost burden in case of a franchisee. In a case of independent business, you can select own set of equipment, counter, furniture, logo, signage etc. You need to decide everything on your own. In a true sense you are independent. However, you need to do your own study before starting any business on your own as it involves the risk. Personality is a second important factor in deciding which business model is suitable for you. If you are of independent personality I suggest going ahead with an independent business model. The franchise will try to dictate each and everything starting from product to marketing. It is like following direction given by franchisor you don’t have any self-expression. If you want to be your own boss select an independent business model. In franchise model, you are like manager following everything as per direction from the boss. On the other hand, if your risk taking capacity is low and you are new in a business field it is better that you take the franchise. Before taking actual decision let’s look at advantage and disadvantage of both these models. Proven system and expert guidance which will save your money. Brand Image, product, logo is already established so you need not to reinvent the wheel. Professional help available as and when required. Help in setting up office, equipment, counters etc. You will be following do as directed model. Cost is high as you need to pay additional fees for franchise. It is difficult to address conflicts. No chance of innovation or deviation from the system. You can save cost of franchise fee. You are independent and run the business independently. You are making expense and purchasing the things as per your business requirement. You need to reinvent the wheel in designing product, marketing etc. You need to give more time in setting up your business. You need expertise and consultancy for your business. Business risk will be more as you are trying for getting success. Hope you have got the answer which business model you should select Franchise model or Independent business. If you are looking for good franchise in India visit Franchise India.